The department is empowered to grant deemed university status to educational institutions on the advice of the University Grants Commission (UGC) of India, under Section 3 of the University Grants Commission (UGC) Act, 1956. Candidates should have completed their Graduation and Post graduation from recognized university or Institute as the desired minimum educational Qualification. § Written examination and interview is going to be conduct to shortlist the candidates. Job fighters have to approach the official website of the organization. 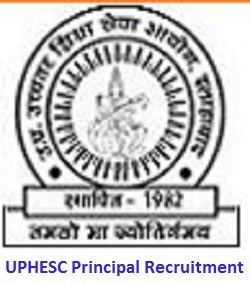 Search and open the UPHESC Advertisement 2017 link. Read the notification and check the eligibility and follow the instructions. If applicable need to fill the online application form with complete details. Upload the scanned photograph, recent photograph, and signature. Finally, click on the submit button on or before the last date. Download and take printouts for future use.